The City of London Corporation is driving its plans for a Low Emission Neighbourhood (LEN) with the installation of new charging points in the Barbican. 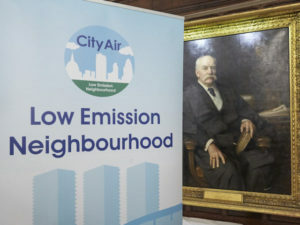 A total of 30 charging points are now available across the Grade II-listed estate for City residents and offer a range of options, including both tethered and socketed units, with power outputs ranging from 3kW to 22Kw. The charging points, supplied and commissioned by Chargemaster, were installed by SRG Electrical and are spread across five car parks in the Barbican estate. Residents who own an electric vehicle will also be taking part in a six-month trial carried out by environment consultants at WSP. If successful, it could lead to a wider rollout of EV charging infrastructure across the City of London.